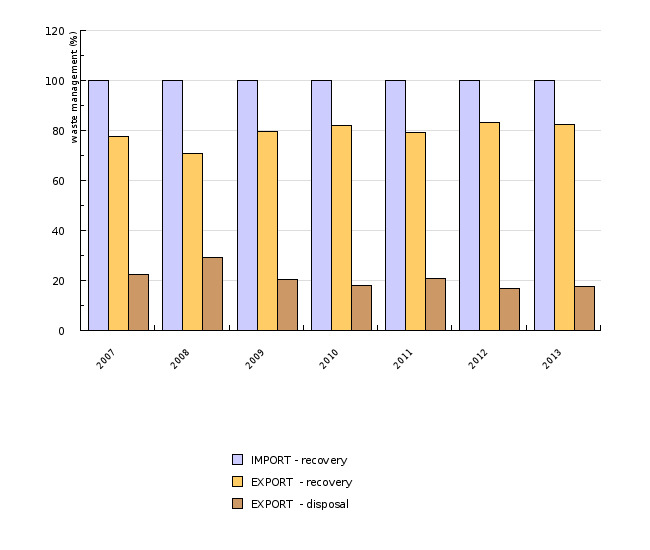 The export of waste from Slovenia has been increasing sharply in recent years; since 2004, the increase has been more than tenfold. 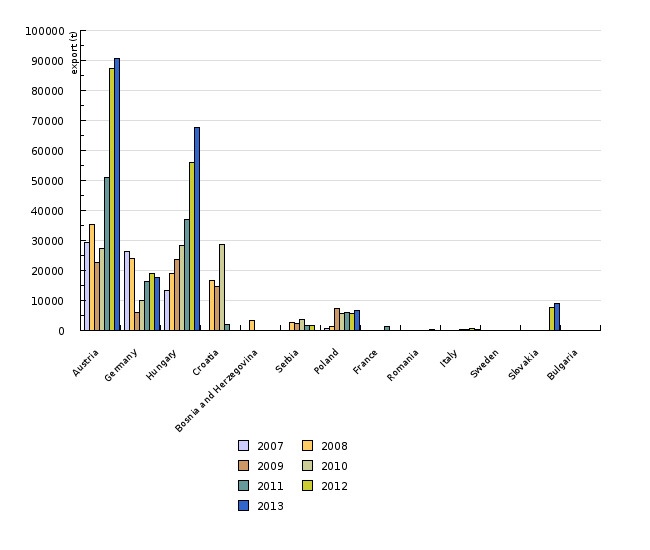 In 2013, 192 thousand tonnes of waste was exported, mostly to Austria and Hungary. 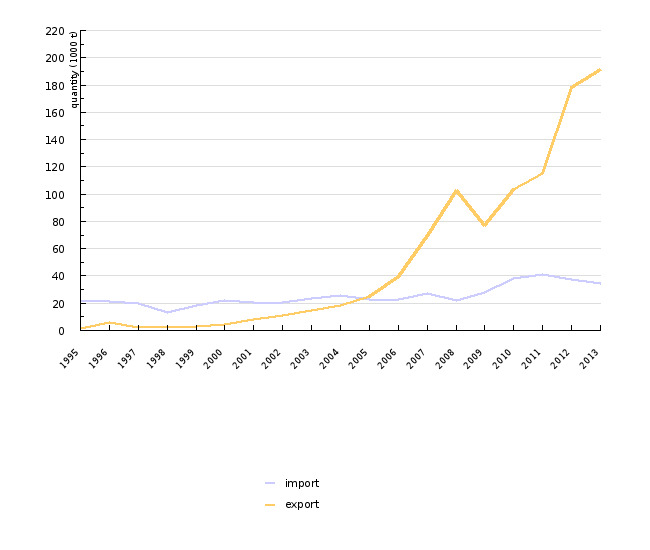 The import of waste has been rather stable. 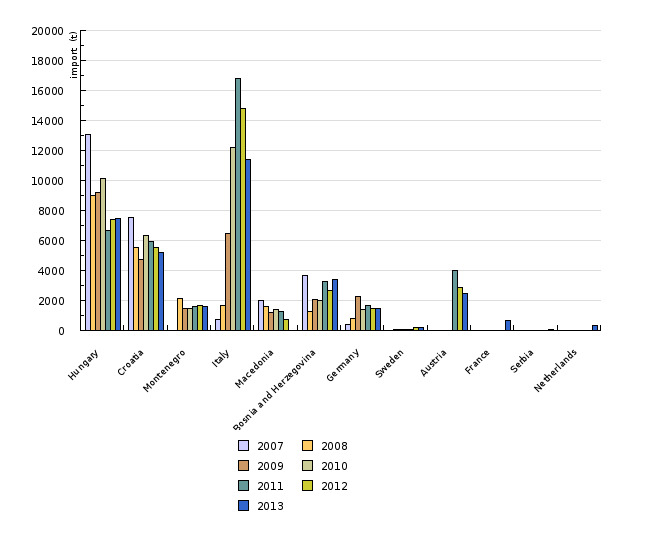 In 2013, 34 thousand tonnes of waste was imported.